I got an email this morning that almost made me break out into hives. It was from a popular homeschool planning company that was touting their ready-made homeschool plans. 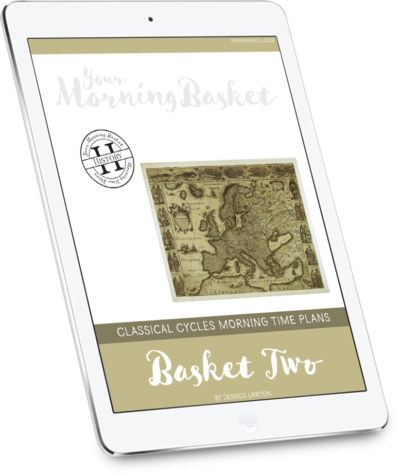 Now having done this homeschool mentor thing for a number of years I know that people really want plans that are already made — after all we sell ready-made Morning Time plans for just those folks (and I use them myself!!). What made these plans so cringe-worthy was not the quality — in fact I am positive that they are excellent plans — but instead the grid. These plans were all laid out on a weekly grid. So on Day 1 (notice that it wasn’t Monday — they were trying to be flexible here) you do THIS Bible lesson, and THIS Math lesson, and THIS spelling lesson. Folks, I tell you it would take me less than two weeks to have an absolute mess on my hands with highlights, cross-offs, and sticky note book marks because I would be on page 15 on math but only on page 7 with history. Amiright? Kids who need more time to practice a math concept. Or get stuck on a set of spelling words and need extra practice. Or meltdown over writing that three-paragraph essay and it takes five days instead of two. Or everyone gets a horrible cold and we have just enough energy for one or two subjects but not seven. Or grandma falls and breaks her hip and needs us to come fix her lunch every day cutting our school day in half for weeks. You get the idea because I am absolutely sure that this happens at your house too. So I am left with a choice to either despair over my marked-up, ugly, bookmark-ridden lesson plans or to power through like a drill sergeant trampling little feelings and ruining relationships as I go. Not to mention sacrificing a quality education because I am pushing to get the box checked instead of making sure my kids actually learn the material. Sure marking the boxes makes me look good to the homeschool co-op moms at the end of the year, but what have we really accomplished here? Look, we have to have a homeschool plan. We simply do not want our worlds to dissolve into anarchy after all. And preferably we would like to do all of our planning over a few dedicated hours in the summer so we can avoid hours of work during the school year — who has time for that? 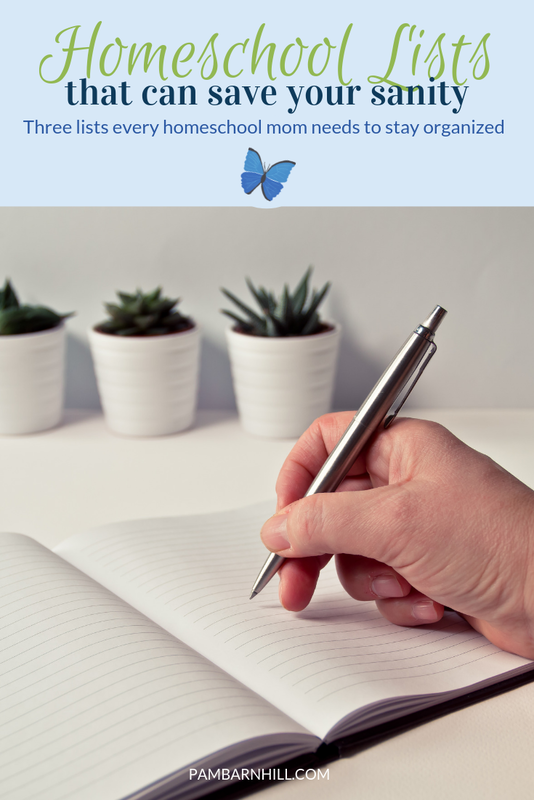 But the big question is how do we create a plan that is just as fabulous as those “already laid out and done for you” ones yet still flexible enough to meet your needs when life throws you challenges. It can be done and all you need are a few simple tools. Stop thinking in grids… start thinking in lists. If you strip the content off of the grids what you find you have is basically a list of lessons or tasks to do for each and every subject. And if you put the lists for math, and spelling, and history, and Bible into your teacher binder then each day when you sit down to work turn to the math list and do the next thing. Then if you are doing history that day turn to the history list and do the next thing. And then the spelling list. You still have a plan. You will still likely get ahead on one list and feel like you are lagging behind on another. But (and this is big) you won’t have the book marks and messy Xs because you have eliminated the grid. You can even write the date the assignment was completed next to it on the list if you need to report to some kind of overlord governing body with lesson plans. The list I describe above is a variation of the “Lesson Plan List” which we teach you to create in our new Autopilot Planning Course. 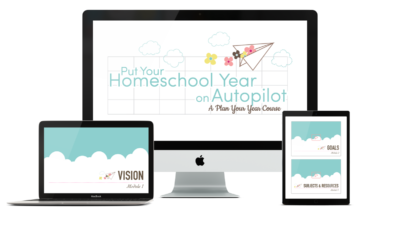 It is a fabulous tool you can use to make sure that your homeschool plans are flexible. We have a couple of other lists we use as well. What if you like this list idea, but you want to make sure that you aren’t stuck in a rut doing one subject all year while other subjects get pushed aside. After all you can still end up on lesson 100 in science and be floundering on lesson 23 in history. This is where a loop schedule comes in handy. The loop schedule is what we use in our ready-made Morning Time plans to make them flexible and easy to use. Basically the idea is to make a list of subjects — I recommend the loop for content area subjects instead of skill subjects that need to be practiced daily (watch this video to see the difference) and then to work your way down the list doing the next thing. When you get to the bottom of that list then you “loop” back up to the top and start again. 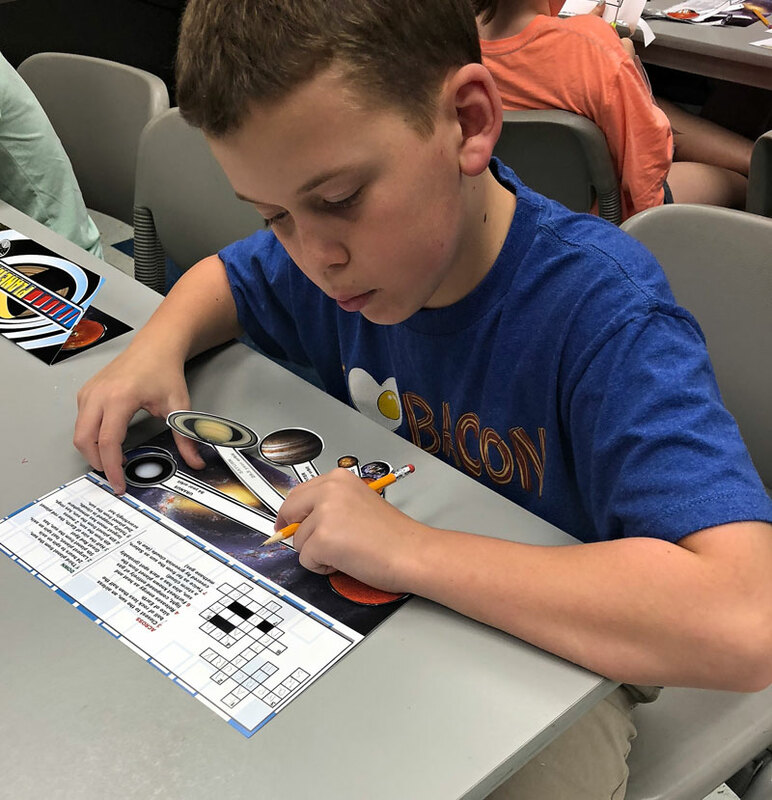 Then after your skill subjects are done for the day you sit down to work on these content area subjects and start with science. Go to your lesson plan list (remember from above) and do the next lesson. Then if you still have time that day do the same for history. The next day pick up where you left off. When you get to the bottom, then loop back to the top. Easy peasy. Now you won’t be behind on one subject ever again. So if you have a set of ready made lesson plans (even the kind in a grid) it is easy to strip them out and make a lesson plan list. But what if you don’t. What if you just want an easy-button for studying a subject? What if you are plagued by decision fatigue, and seven kids, and laundry, and groceries, and (you get the idea). That is where the third kind of list comes in. Enter — the procedure list. Now I have written about this list before and I absolutely love it. Education does not need to be difficult. In fact, a few simple practices of reading, discussing, and processing information (through writing, drawing, narrating) is often all you need to learn something well — despite the hype about those (false) learning styles. Basically the idea is to come up with a few practices that you will do to study a subject, make a list of them, and then each time you study that subject look at your list and do the next thing. Easy peasy. Label regional map with state names and capitals. Trace map on tracing paper. Label the capital, large cities, and prominent physical and geographical features on the map. Color bird/flower page. Draw something on the notebooking page to help you remember the state. Consult atlas for more ideas. Watch Socratica video on that state on YouTube. How easy is that? Now when State Study shows up on your loop you know exactly what to do. So break free from the grid mama. 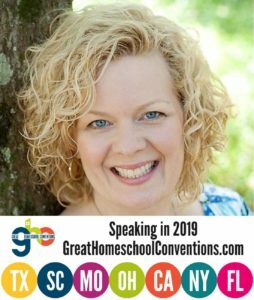 After all grids are just like little fences, so lets link arms and sing “Don’t fence me in” as we create a homeschool plan that might actually make our lives easier instead of harder and get done this year. Want more procedure list examples in an editable format? Enter your email below and I will send you a link to a Google Doc via email along with a video tutorial to show you how to copy and edit the file. You will also get twice weekly emails with more homeschool planning tips (or you can unsubscribe). Grab your template and examples here -- plus a video tutorial to show you how. This post addresses the issue that almost exactly matches the main reason I ordered the AutoPilot course. Thank you! Great ideas! I love how this simplifies the planning process. I didn’t see a link for the video that you mentioned. Looking forward to reading more articles. Amen! Although I don’t do loop scheduling, I definitely use lists because we don’t proceed at the same pace in all subjects, so I like to keep my plans for different subjects separate. Some subjects don’t even require a list, as I just open the book and do the next lesson! I too had a hive-y reaction to the grid plan email. 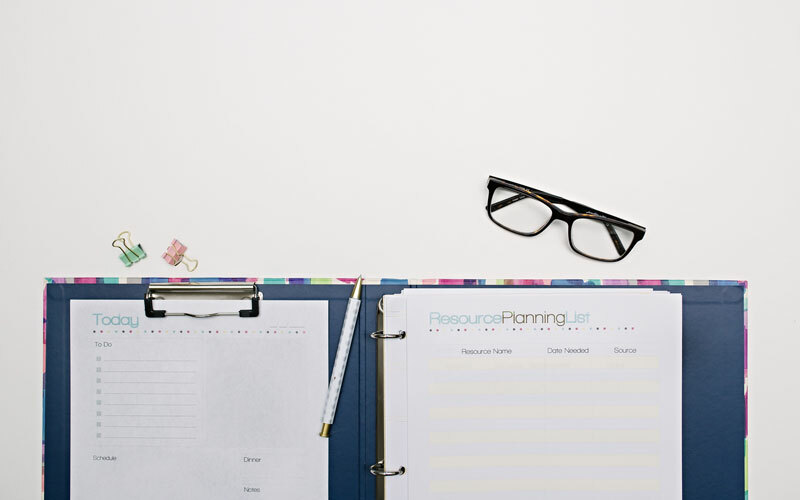 Grid plans are what had me run screaming from boxes curriculum and straight for Plan Your Year! Pam you save my homeschooling life AGAIN!!! Thank you for being so honest and transparent, yet encouraging. 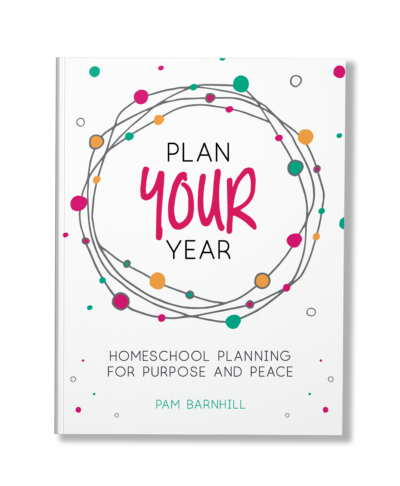 I still do not have this planning thing down…I won’t tell you how long I have been homeschooling….? it’s embarassing!! Not to mention how many planners I have bought or created!! But. Every year I am getting better and following through more because I am learning how I need to plan for ME not so much my kiddos…!! Thank you again ?? You are exactly right, Pam! Life happens and it tends to happen when we are rolling right along happy as can be and then *BOOM*, one of those things you mentioned (or did not mention) occurs to change up everything! I am so looking forward to digging into the new course. On a side note, love the binder at the top of the post 😉 Where did you get that pretty thing? IDK, it belongs to my photographer. 😉 It is pretty, though. I’m pretty sure you have saved my homeschooling life! I’ve tried to be consistent, I’ve tried to follow the most beautiful plans you’ve ever seen and it just. hasn’t. worked. 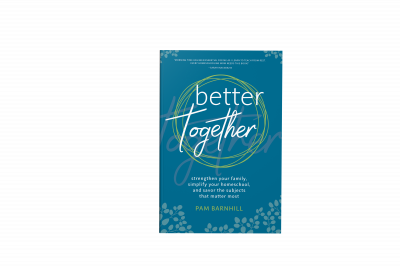 In swoops the amazing Pam Barnhill with her Super Lists and voila! We have a plan I can do. I subscribed to the autopilot course and lemme tellya… it has changed my life. My brain is a computer, not a container, and I can only fit so much in. Thanks for simplifying my homeschooling in a way that finally makes sense to this overloaded mama! These lists are the solution I’ve been looking for. Pam, thank you for once again blessing this mama’s heart! I always appreciate your encouraging, practical advice. This sounds great! I am a planner/boxchecker and feel defeated when my plans don’t get done. I also always plan to much because I want to do all the things! We usually do weekly themes, but if we miss something, then we either have to carry the theme into the next week (making us further behind) or skip some great things we wanted to do for that theme. I also try to plan ahead so I know what we will be learning and can plan vacations/field trips to coincide with our lessons. I would love to hear how to make this kind of planning work with those two scenarios. By the way, I heard you speak at the GHC in SC and have been using the materials you shared! Thanks for all you do to make life as a homeschooling mom run more smoothly! Thank you so much for this post! Very helpful for newbie homeschoolers like me 🙂 God bless. Thank you for saving me from weekly planning! I’ve planned 12 weeks of next year and was already feeling defeated – it’s June!!! just made my procedure lists for my loop and it makes so much more sense to me!